Microsoftâ€™s annual TechEd conference for developers and IT pros kicked off Today in Atlanta. In the keynote today Microsoft took the stage and showed off even more Mango goodness in the form of office hub and productivity. 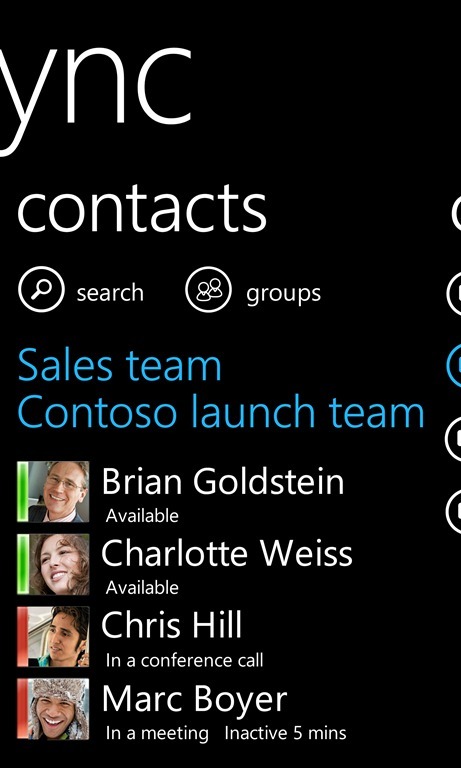 Pinnable email folders:Pin a folder to the start screen for quick access. This could be an email folder for a specific project, from a specific group or person (like your boss), or an RSS feed youâ€™ve set up in Outlook. Conversation view in email: Emails in your inbox are organized by conversation, bringing replies to a thread into a consolidated view so itâ€™s faster and easier to stay on top of the conversation. Lync: Lync Mobile brings the Lyncexperience to Windows Phone customers by delivering Unified Communications capabilities, including instant messaging and the ability to see the presence of your co-workers. The Lync app will be a free download from Windows Phone Marketplace and will be enabled with support from your business organization. InformationÂ Rights Management: Basically a way of saying better security for protecting documents. Support forÂ Hidden SSID: This will obviously be very useful to a lot of people, including University Students who cannot detect (or connect) to Uni networks right now. This will obviously change that soon enough. In addition to helping you stay productive, Mango also includes new capabilities for IT. With new features such as complex (alpha-numeric) password support, Information Rights Management support for protecting e-mails and Office documents, and support for access to hidden corporate Wi-Fi networks, your IT organization can stay on top of its gameâ€”providing you access to information you need while meeting corporate requirements. 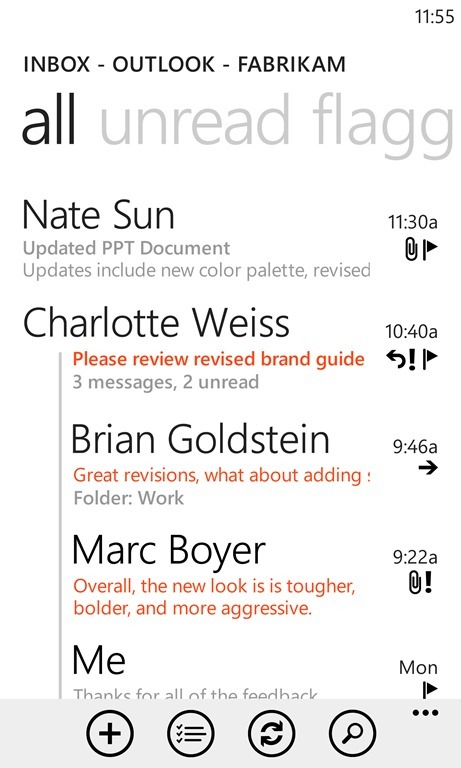 Weâ€™re also excited about the thriving ecosystem of developers writing apps for Windows Phone. This week, we expect to exceed 16,000 apps available in the Windows Phone Marketplace. With new capabilities for developers in Mango (e.g., HTML5 support, Targeted Distribution of apps) we expect an even larger number and wider range of apps for Windows Phone in the future. Written by: Hyde13 on May 16, 2011. 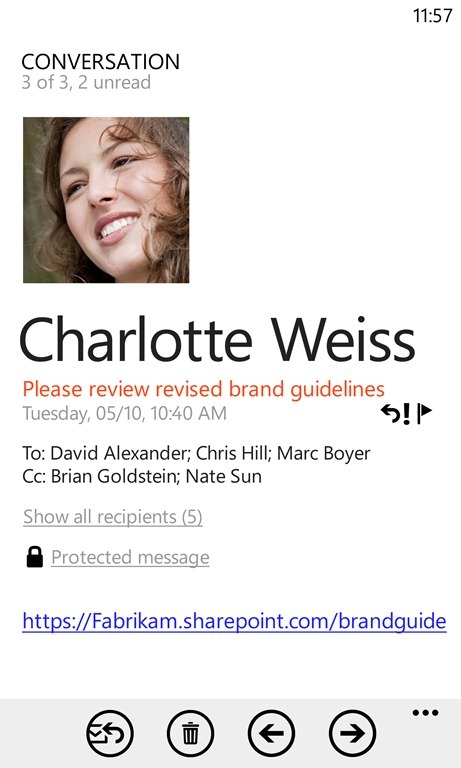 Last revised by: WP7 Connect on May 17, 2011.